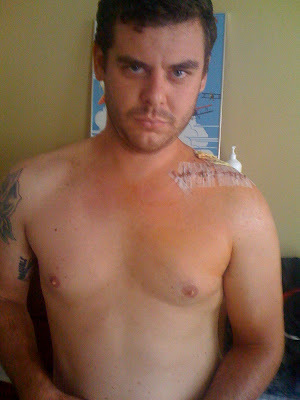 Sorry for no updates, between my sister's AMAZING wedding, and breaking my collar bone in 9 places, I have been a bit busy/in insane amounts of pain. 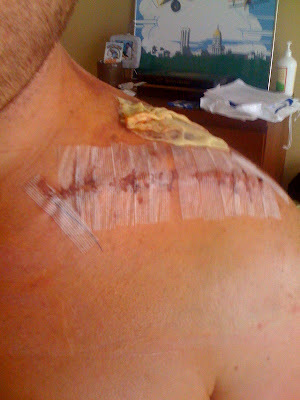 It took a plate and 9 screws to put it back together. 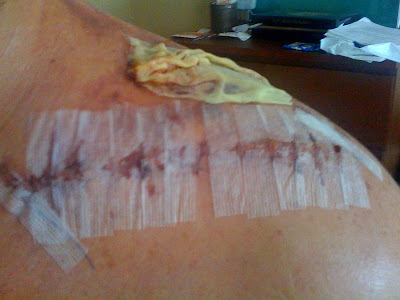 My bone was through my skin (where the yellow piece of gauze is). I could feel the bones shifting when I moved. No fun. 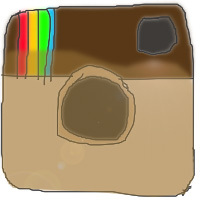 New updates coming soon. I promise. Anyhow, I thought I might enter this year and talked to Scott about it - he made me decide that I’d better give my test batches a run, sooner than later. If you want to know more about the competition, click on the link above, but I assume you would rather learn how to make the best ribs ever, so I urge you to continue reading. 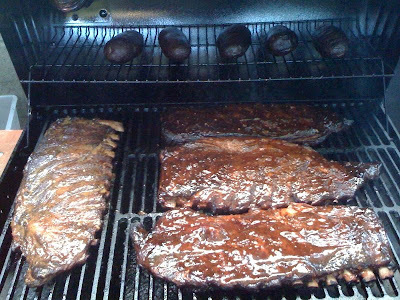 Let’s admit it, I am fanatical about food and grilling; so much so that I am lucky enough to own a smoker. I am also lucky enough to get a steady supply of dried oak (a light smoking wood) from my dad, so I am able to smoke using only one chimney of briquettes to start and wood for the rest of the session. 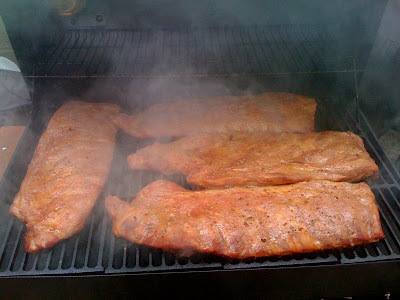 If you do not have a smoker, do a bit of research on indirect grilling; if you have a grill you can still smoke some meat, just be sure you make these ribs before the summer is up. You will feel like a pro. 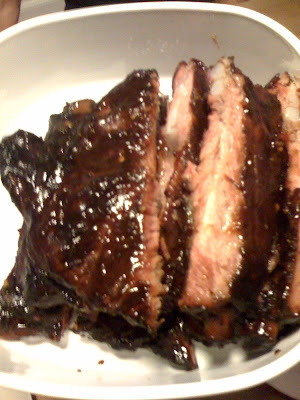 I picked up 4 racks of baby back ribs from the Asian grocery store on 2nd and Oregon (they have a great butcher and fresh meat) and prepped them the night before. First remove the membrane from the bottom of the rack. It’s the thin, clear Saran-wrap looking coating that runs the length of the back of the rib rack. Use a butter knife to get it started. I like to start on the thicker side and work down and across. Once you get the hang of it you might be able to get it all in one fell swoop (but don't bank on it, because it can be a fickle process). 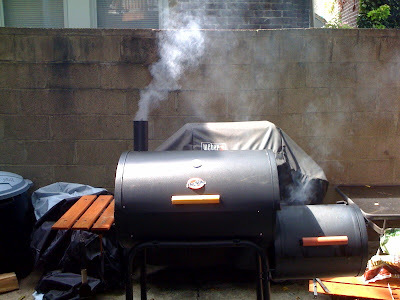 This is very important because it lets the dry rub and the smoke work themselves into the meat. After the membrane was removed, I gave them a rub of secret herbs and spices (and brown sugar), wrapped them up tight in Saran wrap and put them in the fridge for the night. 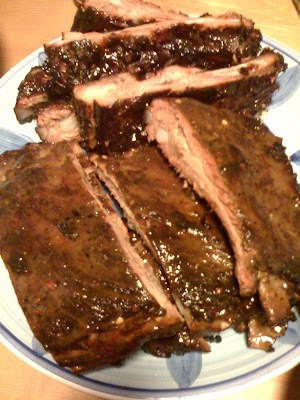 The next day, I cranked up the smoker, let it get to the right temperature range (around 225F), and threw the dry-marinated ribs on the grate (after I let them come to room temperature, of course). 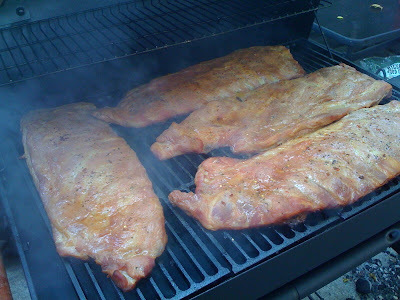 I then began the 3-2-1 method of rib enlightenment. Truth be told, I am not an ‘exact’ guy. I hated math and science in school. I generally don’t measure my rub mixtures or ingredients (except when baking, which is rare), and even with this 3-2-1, I kind of just went with my instinct. SO here’s the 3-2-1 method: 3 hours on the grill, then 2 hours in an aluminum wrapper on the grill, and 1 hour to firm the meat back up. It was probably more like 2.5-1.5-1 in my case and those are loose estimates. During the first 2-3 hours, whatever you decide to do, make sure to use a mop on the meat. I threw together some apple cider vinegar, brown sugar, water, and herbs & spices and mopped the racks every 30-45 minutes. This helps keep the meat tender during the slow cooking process. 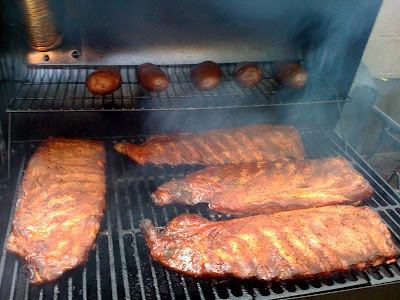 After the ribs had been laid down to begin their smoking, I prepped the potatoes. 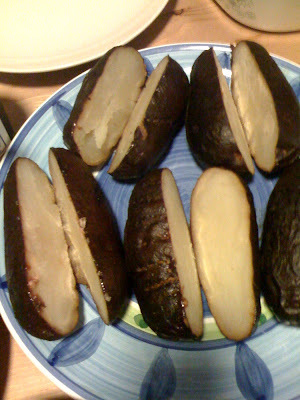 I poked a fork into some baking potatoes about 5 times each, and then rubbed the entire outside with butter and threw them on the smoker. 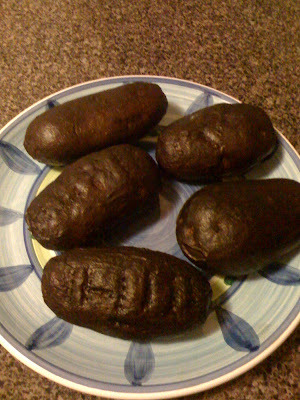 Smoke-roasted baked potatoes. Easy as that. 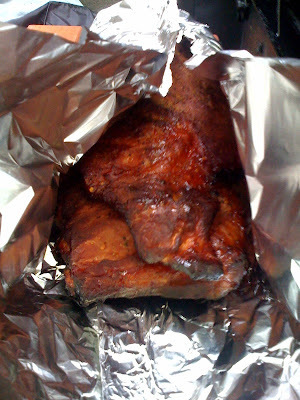 They sat on the upper rack in the smoker, mainly untouched, for the 3-2-1 duration. Time for the 2: the racks got doubled up (2 sets in one wrapper of foil) and filled with the remainder of mop liquid and a half-can of PBR for each set of 2 racks. 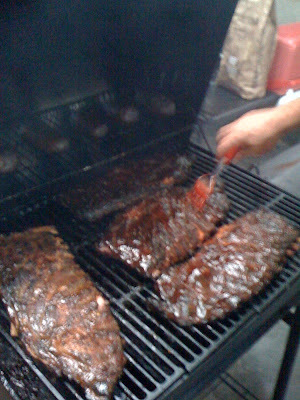 Then they went back on the smoker and cooked for another 2 hours. This makes the meat oh-so-tender. After the (approximately) 2 hours, pull them out of the foil, apply the BBQ sauce(s) of your choice, and throw them back on for an hour, I like to flip them about halfway through this final hour to make sure both sides get a healthy slathering of sauce. Thanks to your earlier work - removing the membrane - you can really get twice the flavor out of the basting/dry rub seasonings you choose to apply. Now remember – you need to be careful as you’re basting with your sauce in this final stage, as the meat is VERY tender at this point. After the first 20 minutes or so, flip it, give them their final saucing, and have a beer. You are basically just waiting for the sauce to thicken. It really doesn't take that long. 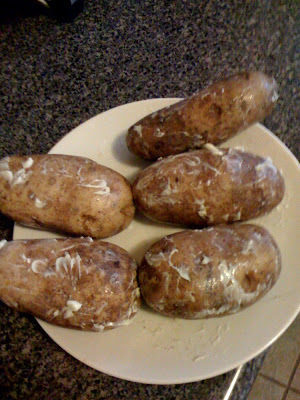 The potatoes should be pulled at this juncture in order to allow them to cool a bit before cutting them open. I served them with diced chive flowers and dollops of sour cream. The potato has a smoky, soft interior and is a great side with the ribs, plus they take little to no effort. For my sauces, I used my Coca-Cola base homemade barbeque sauce, an Asian sauce mixture (Hoisin, ginger, garlic, and some other secret ingredients), and a mustard and vinegar sauce that I threw together. The ribs were spectacular. Succulent, moist and just barely sticking to the bone with a crisp, barky crust. Some of the best I have ever had. 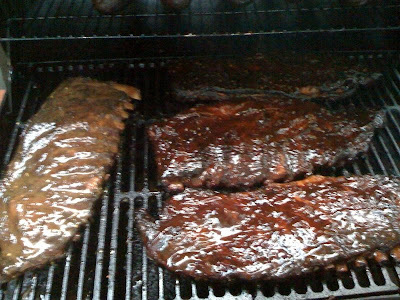 The only problem with my three sauce experimentation is that everyone liked a different sauce “the best” and now I don't know which to use for the rib cook-off. I have never entered any cooking contests, and I just plan to go have fun (and eat as many kinds of ribs/drink as much Stoudt's beer as possible). My advice to you: smoke some ribs before summer is over, use the 3-2-1 (or 2-1-1) and impress your friends with your grilling prowess. 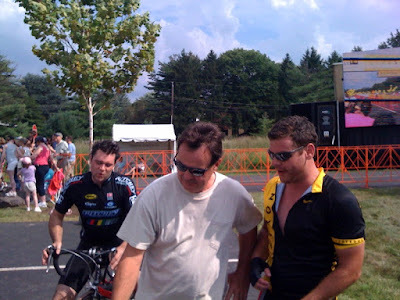 Quick update... as some of you may know, I did the Livestrong ride over the weekend. 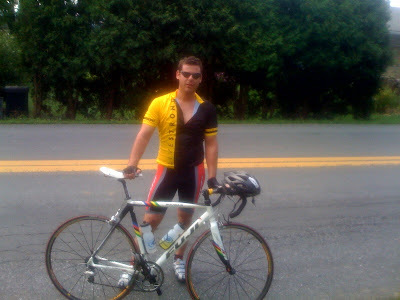 100 miles of fun and pain, with 4300 feet of elevation gain. In case you didn't know, that's A LOT! 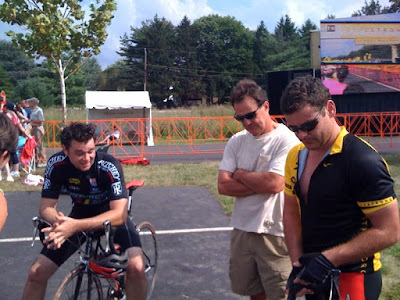 It is the hardest Livestrong ride in the country. I was able to raise $1055, and that meant a lot to me. 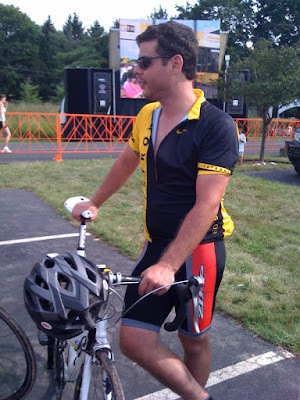 If you have never done a charity ride or run, I highly recommend it. It is tons of fun, and the energy of the crowd/competitors is awesome. 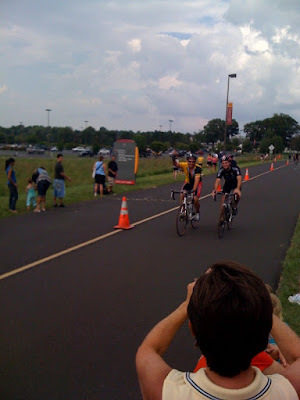 Although I was totally beat by the end, I had a huge smile on my face when I saw my Mom (a recent breast cancer survivor) cheering for me at the finish line. 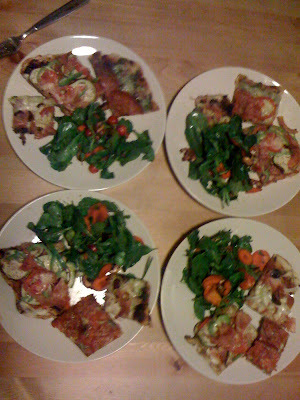 Well, I wrote about my latest foray into the grilled pizza world last week (with the Reuben), and although I wanted to make another attempt the very next night, I waited one whole week before throwing down another pie - or THREE. I have this problem (surely it’s been alluded to) where I generally always like to overdo things. So, in preparation for what you’re about to read, know that charcoal pizza takes a lot more finesse than its propane counterpart, as well as a lot more time. I figured if I burn one, at least I can fall back on the other two. The dough (like before) was made the previous night, let to rise for about an hour and a half (it got huge), and then sat in the fridge over night. This helps to ensure that it is pliable, and you really don't want to rush the dough’s rising or the yeast’s activity. Yeast is quite sensitive and you want to be sure you allow it ample time to work its magic. Remember to pull your dough out at least an hour before shaping to allow it to get to room temperature. 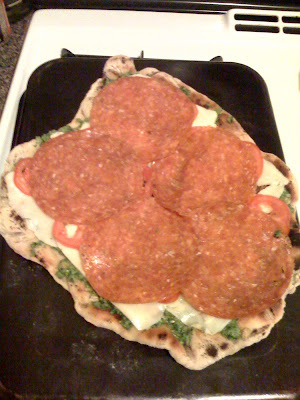 I cut a double batch of dough into three pieces using the pizza wheel. I then started the hardwood charcoal (this stuff is the best) in the chimney, and actually added some small pieces of dry oak I had set aside for the smoker. Next, I set the grate on the highest level to account for the extra hot fire, and decidedly made one side hotter by piling a majority of the coals on that side. This allows you to rotate the pizza and get those ever desirable cris-cross grill marks; this also gives you the ability to move a side that might be cooking faster to the cooler edge. I HIGHLY recommend this. I stretched the dough like before, and although last time it worked fine with olive oil for stretching, this time it was being more finicky - so I threw some flour down and kneaded away. This is the way you treat normal homemade pizza dough, so it made sense. 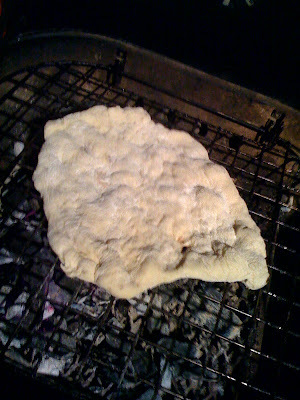 After the dough balls were stretched into their funky grilled pizza shapes (and a spray of olive oil went down on the grate), they went on the grill and were left to cook. No ingredients or anything just yet. After about 5 minutes, they got a quarter turn (grill marks) and left to cook until the bottom is crispy and nicely charred. 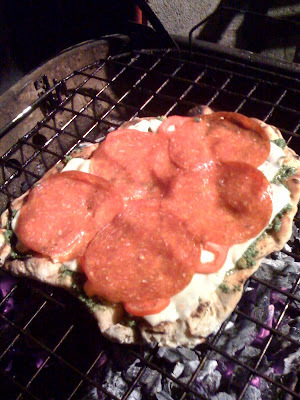 In breaking from my previous grilled pizza, I pulled the dough (with one side cooked) completely off of the grill, and then the toppings were applied to the cooked side. 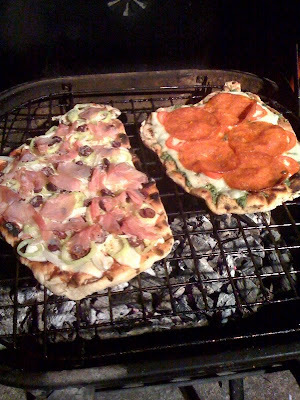 This is a superior method to hastily arranging them all on the pizza at once with it still on the hot grill. It’s less stress, and you can make sure that everything looks more appealing, not to mention ensuring an even application of the various meats and cheeses. 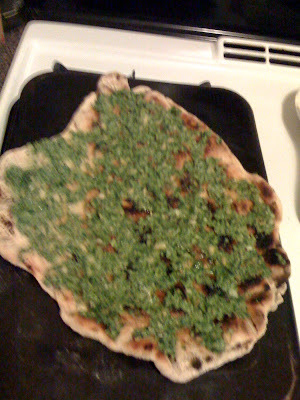 For this batch, I took a bunch of fresh basil, threw it in the food processor with 4 cloves of garlic, a healthy dose of pine nuts, some freshly grated parmesan, a good amount of olive oil, and made some pesto for one of the pizzas to be sauced with. 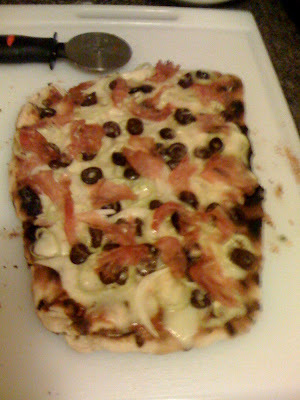 The garlic in it was a bit sharp and overpowering, which had me nervous, but luckily once it was cooked with all of the other toppings, it mellowed out quite nicely. Next time I will cut the garlic down to two cloves. 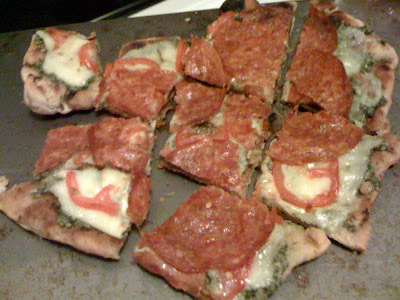 The fresh pesto was applied to the base of the crust, topped with mozzarella, fresh tomatoes and an abundance of pepperoni. This is one of my favorite pizza combos; the pesto is rich and basil-y, and the pepperoni is a bit spicy and definitely salty. The tomatoes bring a fresh, juicy element and (seeing as how there is no tomato sauce) give it a small piece of that traditional pizza zing. 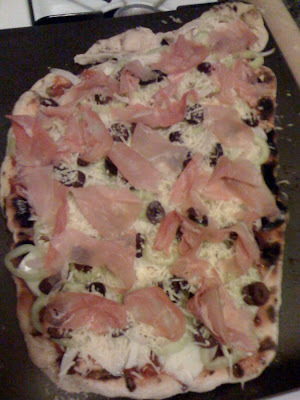 On the second pie (along with some marinara sauce, mozzarella, and thinly sliced Prosciutto) we put sliced Vidalia onion, kalamata olives, and slices of fresh Hungarian wax peppers from the garden. Any kind of pork is a winner on pizza with me, and the paper-thin pieces of Prosciutto tend to get thoroughly crispy and delicious, so it is always one of my go-to toppings. 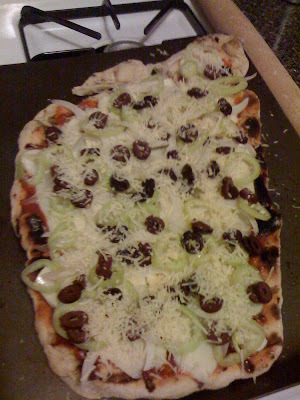 The onions will also brown and this really turns out to be an incredible pizza on the grill. 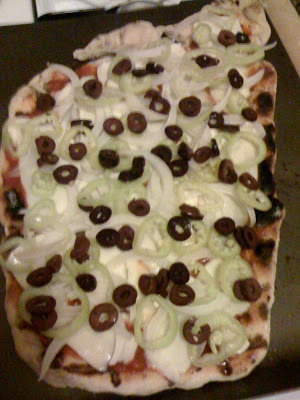 I love the blend of salty meat, salty olives, and the onions – they sweeten nicely (nearly caramelize) when cooked. 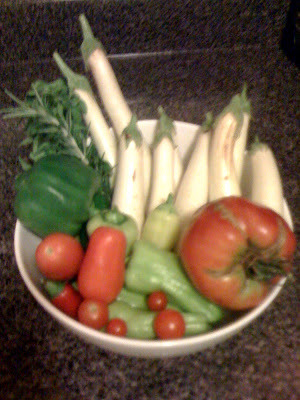 The fresh peppers rounded out the bunch, with a bit of a spicy kick. Simply delicious. 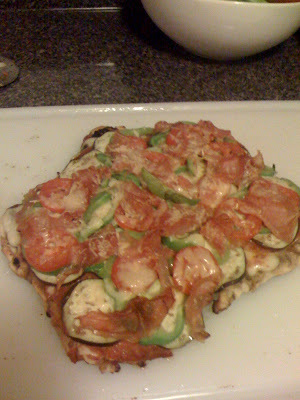 We had a variety of “fresh from the garden” veggies (not from my garden, which is imaginary) - so on the final pie, we went for an “everything” pizza approach: marinara, eggplant, onions, peppers, Prosciutto, pepperoni, and layer after layer of cheese. 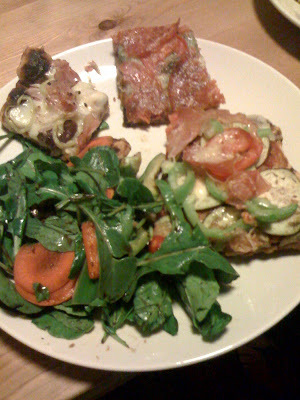 It was almost deep-dish style, and turned out to be savory and delectable. 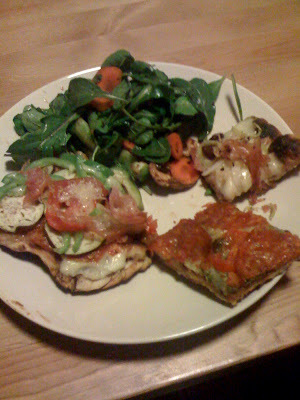 I would have to recommend to anyone who hasn’t tried making your own grilled pizza, go for it. It beats getting the oven hot on these steamy August nights, and you will be vastly rewarded with an incredible amount of flavor & a crisp crust that will leave you feeling like #1 - a badass on the grill, and #2 - a grilled pizza snob for years to come. Normally I am not a fan of Philadelphia magazine’s restaurant rankings. To me, they are basically catering to a suburban Pennsylvania/South Jersey audience who have more money than they do taste. I am not saying I am better than them, I just feel that they don’t put a lot of the places that are truly superior on their lists - and for this, I am VERY grateful. I don’t need every yahoo in an Escalade lining up at Dimitri’s in Queen’s Village or any of my favorite little gems around the city, thus making the lines even worse. 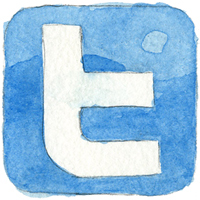 So, actually, I guess I should be thanking Philadelphia magazine. They have inadvertently been keeping my secret spots safe for years now. Well, I have heard the buzz surrounding Zahav, and I was intrigued. Apparantly the owner flew the staff to Israel before they opened to taste the flavors and foods they would be serving first hand. That is pretty impressive by any standard. I heard rave reviews (and they were ranked #1 restaurant by Philadelphia magazine), so I had to see what all the fuss was about. I decided that the lunch route was probably the best way to go, as I obviously cannot afford to dine at most places that are ranked #1 by said magazine. First of all, it is a bit difficult to find. It is located in a courtyard in Saint James Place, just to the northwest of I.M. Pei’s well known Society Hill Towers. It is very difficult to see from the street, shadowed by the three white luxury high-rises. After a moment of confusion, we realized it was up the stairs and through a nondescript entrance. There is a small sign hanging that finally gave it away. The inside is really, really nice. It is a rustic lodge style décor, with a large open cook station running along the back wall. The interior had lots of hardwood, including solid tables that were quite impressive - and the smell. Oh that smell. It was so fragrant and inviting, I would have eaten anything they gave me with no questions asked. We sat and the server gave us an overview of the menu, but we already had a hunch which way we were heading. They have a deal that is about $25 for a tasting menu, but that is WAY out of my lunch budget. We started with the crispy Haloumi, which our server verified was his favorite appetizer, and that he would gladly wake up and eat every day of his life, while being excited about it over and over every day. He was not far off - the spongy, salty fried sheep’s milk cubes came out, and it was just a spectacular looking little plate of food. Admittedly, it was a tad heavy for lunch, but I was really hungry so I could have eaten twice as much of it. The exterior of each cheese cube was a bit crispy (nicely browned on the outside), and the interior had a little squeak to it (reminiscent of cheese curd), with a saltiness that reminded you of feta. They were served with deliciously toasted pine nuts, and a puree of dates that mixed with the crisp salty cheese perfectly, creating the without-fail sweet and salty combination that I love so much. This was a stellar pick, and I would gladly go back just for another taste. For our lunch we both went with the sandwiches (known as Kadima on their menu). I had the Sabra, which is young chicken, served with sumac onions and fresh tomatoes in a laffa wrap. Now, I was immediately intrigued by the use of ‘sumac’ with the word ‘onions’. I had never heard of it as an ingredient, only as a more severe poisonous plant than poison ivy. Sumac is a large family of plants and the berries are used as a marinade/rub/salad dressing in different Middle Eastern kitchens. It gives food a sour/tart taste and is often chosen over lemon juice in Kabob marinades (learn something new every day I guess). The wrap, although smaller than I would have liked, was quite delicious, and completely packed with flavor. It was amazing how much the smoky grilled chicken and the zing of the sumac onions really contributed to a flavor explosion. A creamy spread of tehina rounded out the flavors and made sure there wasn’t a dry bite in the bunch. 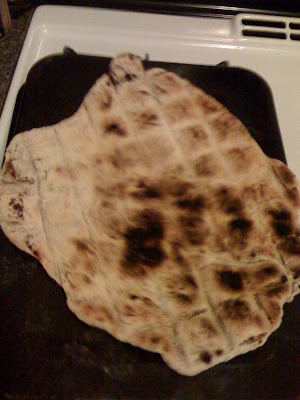 The laffa was fresh, warm and pliable which made the sandwich really quite nice. It is served with a pickle which was actually a cornichon, and although good, it really felt like for $10, there should be a side dish of something else on the plate. The other sandwich was the Monsieur Merguez, a house-made merguez sausage, served with matbucha which is essentially a salad of tomato, roasted bell pepper, garlic and oil mixed together. Merquez sausage is a spicy lamb sausage, which was even better than the young chicken. It was also served with tehina and a cornichon. The tehina really matched well with the heat of the lamb sausage, and the matbucha gave it a really tangy flavor that was just delicious all around. I would gladly eat this food once a week for eternity. They really manage to craft some subtle flavors in with the large scale flavor explosions that emanate from every dish. 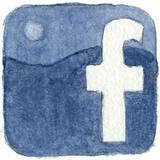 It is certainly an experience I will not soon forget, and one I would certainly like to re-visit. The most surprising thing was that, although the portions were small, you left satisfied and actually quite full. The richness really creeps up on you, and next thing you know, you have been overtaken by an Israeli food coma. If you have ever been on this particular corner during the workweek, you have probably wondered, “what is this crazy cart guy doing here?” and, “is it on fire or does he have a charcoal grill going in there?” The large plumes of smoke can be seen wafting off of the cart from two blocks away and can be smelled just as far. The reason this scent travels so far, be it brisk winter or swampy summer here in Philadelphia, is because it is the smell of charcoal perfection. Simply put, a crazy artisan at work. There will be a line when you get there. If there are 6 people in line, expect a 20-30 minute wait. That’s just the way it is. He WILL NOT rush his food. You WILL sit there uncomfortably hoping he serves you; it is beyond worth it. His cart is hands-down the most meticulously decorated (and most thoroughly well-kept cart) in the city, with garlic and onion ropes hanging, plants all around it and he even has a Bose Wave stereo pumping out some crazy Eastern European tunes. He’s moving around in there like a ninja in a dojo: dropping falafels in the fryer, checking every single piece of chicken on the grill, moving them around, pouring ladlefuls of water on the coals to steam, freshening all 10 or so sides/salads he offers, grilling pitas etc. It is truly a marvel to watch. A truly finicky purveyor of Mediterranean eats, I began referring to him as the Falafel Nazi when I first started going there a couple years ago. Well, it turns out that is what he is referred to - far & wide, and it makes sense. I once watched him deny the person in front of me chicken because they ordered two orders and the other person was not present. He then gave the obviously miffed woman two falafel-only orders and gave me her chicken. Take that, Elaine Bennis! If you think you are getting a quick cheap meal, like at most carts, you are sorely mistaken. The line is long, and at the going rate of $10 a platter, it’s hardly cheap street food. But tell me, what other center city cart has more to offer than greasy mediocre cheesesteaks and crappy Chinese food? All right, there may be a couple of other falafel carts in center city, but that’s like comparing mealy apples to ripe blood oranges. Having gotten food here on numerous other occasions, I already knew the protocol. I usually get the sandwich (he offers a sandwich or a platter) but today I did not see him make one sandwich; not wanting to anger the falafel gods, I just took what he gave me. I literally didn’t order, just stood there, and watched him. He didn’t speak a word, until I mentioned it was hot, and he was obsessive-compulsively opening and closing the doors of the cart. I absolutely love the insanity of this man. He often goes on rants, yelling to people, grilling them on how much they think it costs to run a cart like his, and “do they know how much these ingredients cost?” People stand there, intimidated and slightly confused, the language barrier being on their side for once. He will then tell you his ingredients “are fresher than in a restaurant,” and that he “spends hours prepping every night.” I believe him and thoroughly appreciate his efforts. So he lays down a bed of fresh romaine, strategically putting his pasta salad, bean salad, and marinated grapes on separate sides. Second, he lays the falafel and then the grilled chicken on top of that. He finishes all of this with a topping of rich balsamic vinaigrette, and FOUR pieces of bread. Okay the bread is just the culmination of his insanity. Why four? What am I going to do with two pieces of rich, chewy Italian-loaf-style bread, and two thin slivers of wheat? Even I think its too much bread (truth be told, of course I ate all four, mopping up every bit of juice imaginable), but I guess he feels that, “if you don’t want the bread, don’t eat it.” To say this is a hearty lunch is a gross understatement. As far apart in flavor and texture as all of his ingredients may seem, they WORK - amazingly well. Let me break them down for you. The romaine at the bottom is crispy and fresh, not what you would expect at 12:30 on a 95 degree afternoon. It is the backbone of the salad platter. The pasta salad, new to me at his cart, is rich and creamy and actually had flavor. It was a bit sweet and a bit salty, and had obviously fresh herbs & spices in it, possibly smoked paprika (my #1 spice of all time). The bean salad was a deliciously hearty blend of black beans and black-eyed peas, and it was perfectly dressed with an oil & vinegar marinade. The marinated grapes are on the next level: halved green grapes in an oil & vinegar-type marinade, but one which is decidedly different than the one used on aforementioned bean salad. Today it was sweet, bursting with flavor, and was spotted with the occasional slice of star fruit. I have ONLY seen marinated grapes like these served here. They are amazing. Have I mentioned the garlic yet? If you don’t like garlic, stay as far away from here as possible. It is possibly the most garlic-y meal I have ever eaten. All of the previously described items probably had a healthy dose of the good bulb, but nothing compared to this falafel. It is so light and crunchy, bursting with green on the inside. 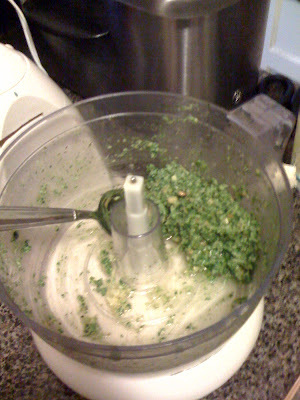 I feel as though he almost completely replaces the chickpeas with garlic and parsley…seriously. He must go 50/50 at most. Craziness. It blows other falafel out of the water, but you will pay for it with (literally) a burning on your tongue for the rest of the day. I was wondering why my mouth was tingling around 4 pm, and I was consuming as much water as possible. That garlic is the culprit. It’s just a small price to pay for those moments of culinary bliss, in my opinion. Last, but not least, the chicken. This chicken is tenderly grilled over a real charcoal grill, after a long dip in his secret marinade. Again, he obsessively watches the chicken, until it is crunchy and char grilled on the tips and he slices it as it comes off the hot grill. It is surely chicken of another world and some of the most tasty chicken I have ever eaten. There is no sauce or any tricks to mask the flavor; the marinade and the char grill speak loudly enough for themselves. It is so moist and delicious, even if you are not normally a chicken lover, you will gladly stab your eating mates with the provided plastic fork if they make any attempts at harvesting your bounty. That final generous drizzle of his vinaigrette brings it all together and finishing it with that abundance of bread makes it all worthwhile. After eating here, I completely understand why Jerry sold out Elaine in that episode.